Undergraduate internships are offered every Fall and Spring semester. The deadline for application for fall 2019 is Monday, April 1, 2019. The aim of the SOHP Undergraduate Internship Program is to provide experiential education in the intellectual, organizational, and practical work of oral history at one of the nation’s most esteemed centers for oral history scholarship. The internship is designed as a three-part structure: organizational work, a research project, and participation in a weekly seminar. In 2019, interns will work collaboratively on a research project focused on the centennial of the 19th amendment, women’s suffrage, and women and voting rights today. Working with the NC2020 organization, interns will learn to conduct interviews and engage with the practice of oral history; assist with ongoing SOHP projects; collection management, digital exhibits, and public engagement; and participation in a weekly seminar that deepens academic understanding of oral history. To apply for the internship, visit the application form. In their organizational work, interns assist SOHP with ongoing projects, community outreach, and archival research. The research project teaches students how to conduct interviews and engage with the practice of oral history. The seminar offers interns a deep academic understanding of oral history methods and approaches, as well as reflection and synthesis of the internship experience. Throughout the semester, SOHP staff and graduate students offer consistent mentorship, training, and support. Evaluation will be based on thorough, responsible, and creative engagement in all aspects of the internship program. 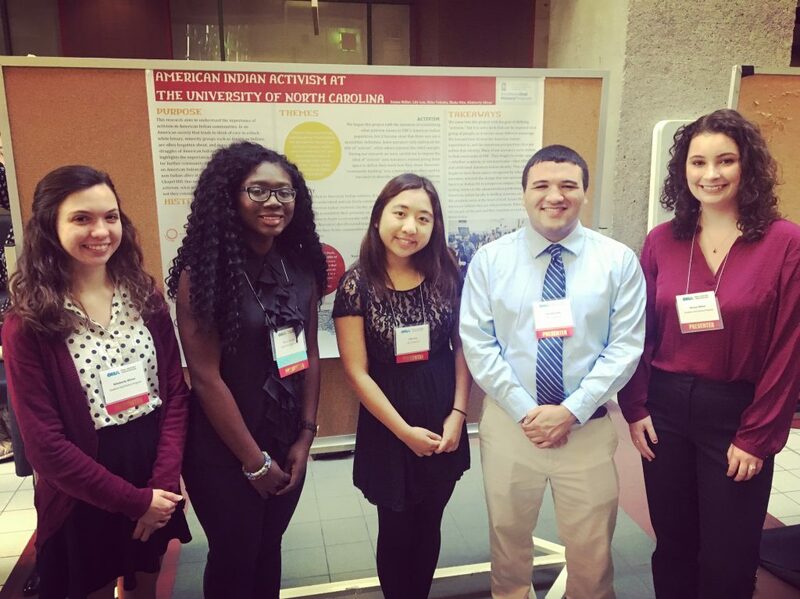 Interns will be asked to assist in the development of our undergraduate programming through their ideas, creative initiative, feedback, and they will support SOHP projects and events as part of our team. Listen to interviews conducted by previous interns, and explore projects designed by students in the program. Our interns are an interdisciplinary cohort of creative thinkers and sound practitioners of oral history. We encourage them to propose their own innovative ways to engage with oral history through performance, outreach, and education.